You and your significant other fit together like two puzzle pieces. Show that you were made for each other with this You and Me pillowcase set. 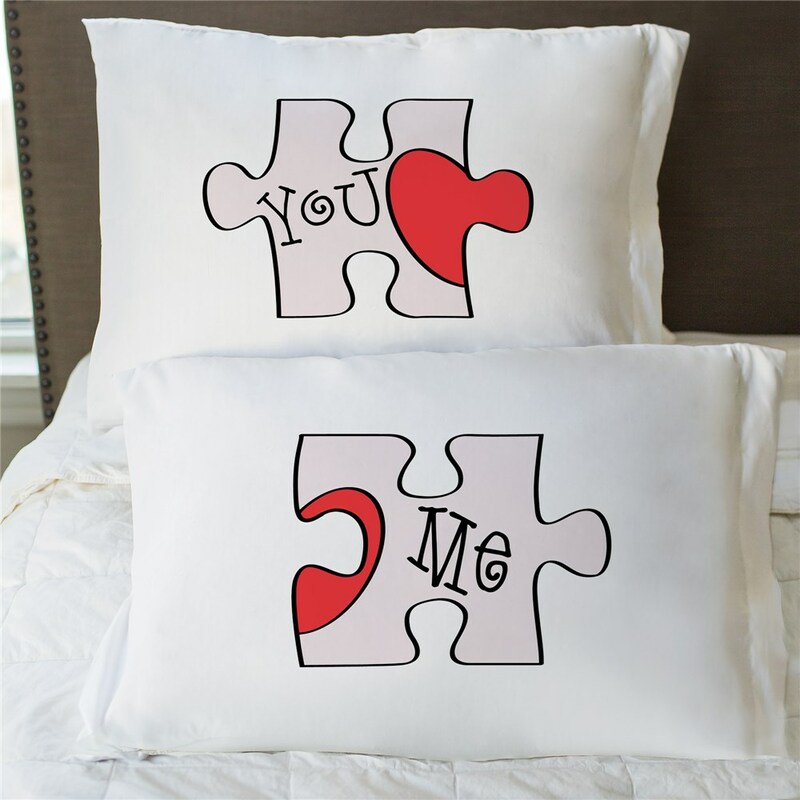 This couple's love puzzle pillowcase set makes a fun and romantic gift for any two people in love. It is fabulous! Bright colors, great size and look very well made. Pillowcases are not very soft, but hopefully with washing it will not fade.